A visit to Wikipedia resulted in me learning a new word, adynaton and an apt description of the phrase “When pigs fly”. I have caught myself reflecting on many recent events when I had uttered this phrase and been proven dead wrong…to my dismay…and also in other circumstances… to my delight! 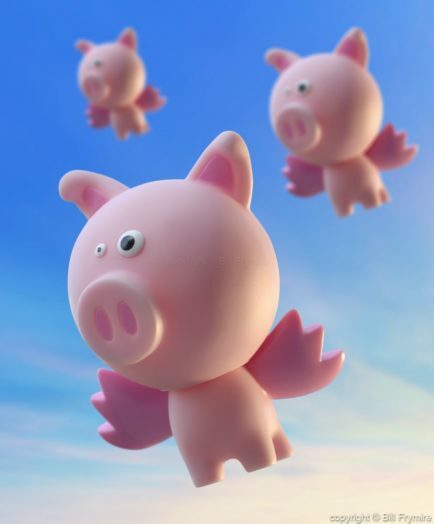 I am grateful that pigs may never literally fly, because that would be very messy for those below, and I am grateful that individuals and groups continue to strive to do the seemingly impossible in spite of the sarcastic naysayers.